What better way to start the day than with a steaming cup of coffee on the breakfast table? Perhaps you prefer to relax after a long day’s work in your favorite armchair with a warm cup of tea in your hand? If these sound satisfying to you, all you need is a HASAMI PORCELAIN mug to complete the experience! Mugs can be found in every household, but with the time we spend holding our mugs and drinking from them, the perfect mug makes all the difference in our daily lives. 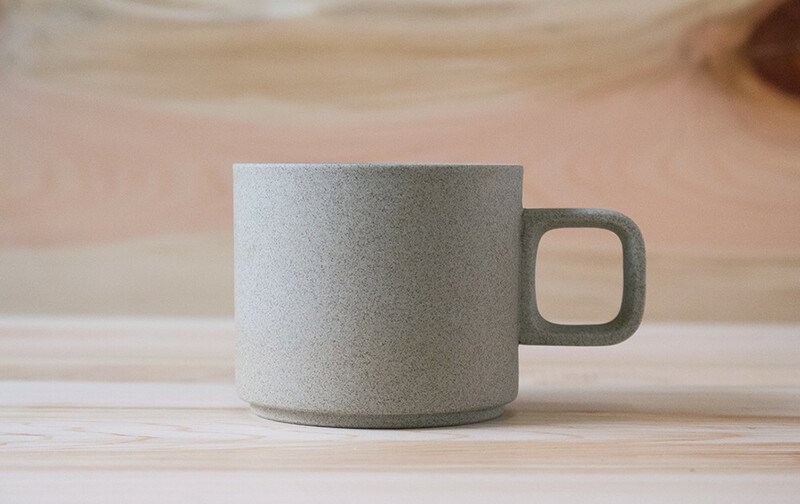 HASAMI PORCELAIN mug cups lend an understated beauty to your home. 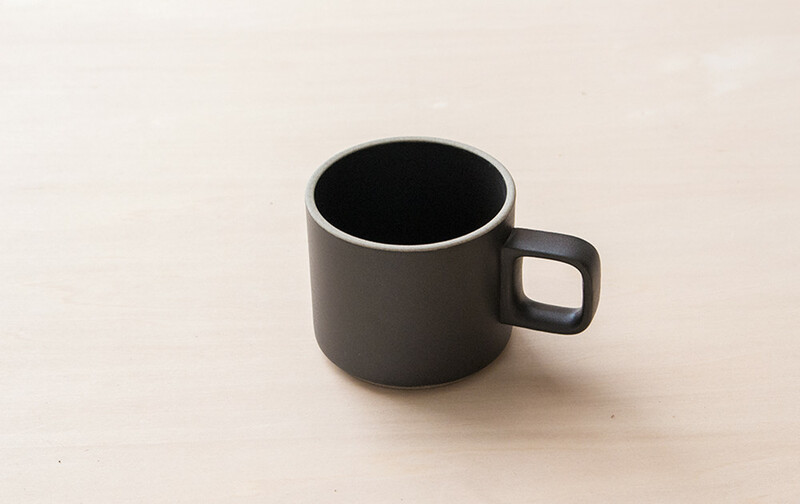 Designed for functionality, the mugs are easy to hold, and space-saving. 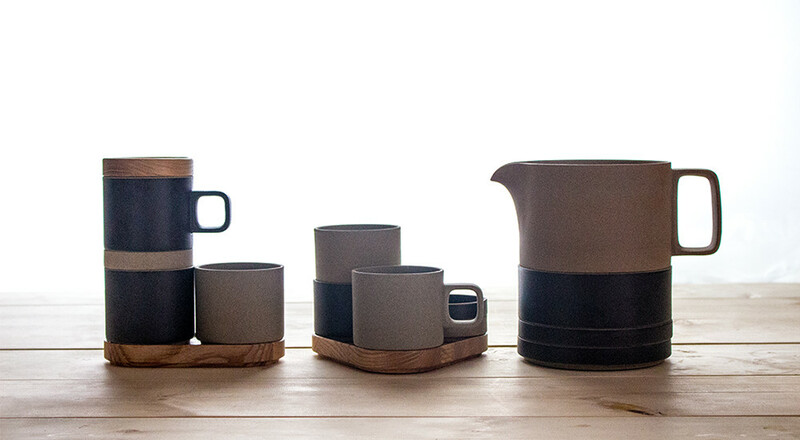 As with every piece from HASAMI porcelain, the mugs are stackable and can be purchased with a wooden tray that doubles as a lid. Available in natural and black colors, the crockery makes an ideal fit in any space with its minimalistic appearance, so pick up a HASAMI porcelain mug now and add contentment to your daily life. 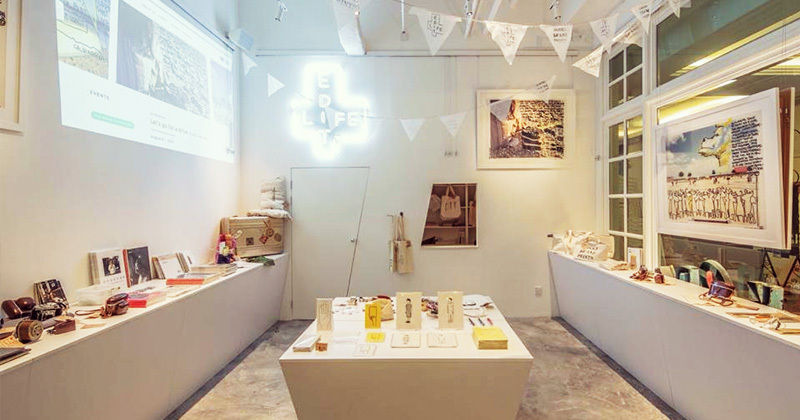 With a vibrant history of porcelain craft from the Edo Period, Hasami, Nagasaki, is one of the leading pottery districts in Japan. Since almost 400 years ago, porcelain from Hasami saw a wide distribution not only in Japan but into Europe as well. Incorporating this rich heritage with modernity is HASAMI PORCELAIN, directed by Takuhiro Shinomoto of Tortoise (Venice, California). Integrating the traditions of porcelain from Hasami, the brand produces tableware that is minimalist, functional and reliable in quality and price.